What, and Why Biodynamic Preparation BD506? Continuing with my posts on biodynamic preparations, I am focusing on the next compost preparation; DB506 more correctly known as Dandelion Preparation. BD506 is a compost preparation made from the flowers of dandelions (Taraxacum officinale). As a flower of Jupiter it has a crystalline structure and silica content. If you think of a dandelion flower which has gone to seed it’s a perfect sphere just like a planet. Dandelions have a huge influence on enabling plant and soil life to access Silica. As I discussed in a previous post, Silica makes up 40% of the Earth’s crust, unfortunately most of this is not available to the plant. 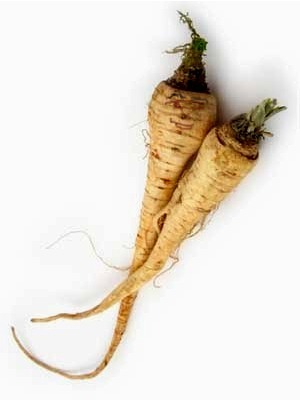 In conventional agriculture this element is overlooked despite it being integral to healthy plant life. Silica is vital for improving cell structure and strength allowing plant sap to flow smoothly. 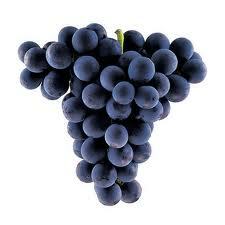 In viticulture Silica is hugely beneficial in creating a strong resistance to mildews specifically powdery mildew. 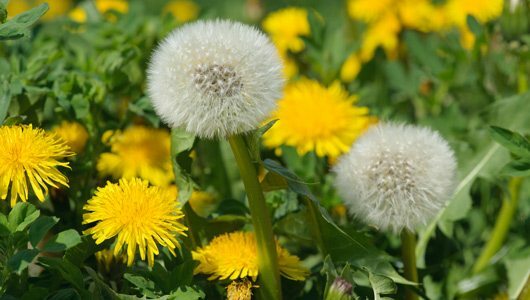 The main reason dandelions are used is because of their strong relationship with silica; specifically a powerful potassium/silica relationship occurring within the plant. This preparation harnesses this strength and allows its influence to be utilised in compost production and ultimately in our vineyards. The dandelion flowers should be harvested early in the morning before the heads are fully open. They should be about half open and the middle petals still folded inwards. If they are too open when harvested they will disintegrate when dried and thus fully open flowers should be removed. As with BD 503 Camomile Preparation the dandelion flowers should be laid on a drying rack or hessian/mesh covered fruit rack and left to dry in a shady place, being turned regularly until fully dry. The dry flowers should then be placed in a cow’s mesentery – this is the sheath or “skin” that supports and contains the animal’s organs – the mesentery is used because it has a very sensitive influence on life forces. The mesentery filled with flowers is then folded like a parcel and sewn tightly together. The “Parcel” is then buried in autumn on a descending moon – it’s a great idea to place it between two unglazed terracotta pots to ensure it is not disturbed by animals and can be easily located months later. While in the ground the dandelion flowers focus earthly energies and the sensitivity of the mesentery combine to create this preparation. In spring the preparation should be ready to lift out of the ground at around the same time BD500 is lifted (It follows a similar cycle). Cut open the mesentery, remove the transformed flowers and scrape the rest of the mesentery. Store in a glass jar, with the lid off and stir for the first couple of weeks. This aeration will ensure that the preparation does not get anaerobic. Once the risk of turning anaerobic has passed (2 to 4 weeks) you can seal the jar and use as needed. BD506 Dandelion Preparation is used in compost production as well as when we produce Cow Pat Pit. When Dandelion preparation is used on the farm it gives the soil a living quality with the ability to supply nutrients and substances the plant needs. Specifically it works with silica and potassium. It is great for fruit set and fill, and improves the size and appearance of fruit if used with BD 503 and horn clay. The next biodynamic preparation I will focus on in the coming months is BD507 Valerian Preparation. As family man… Avondale is a family farm where we appreciate that the health and balance of our living system is inextricably linked to well-being of our families. As a father of two and a husband, as son and brother, my inspiration to achieve a robust, balanced vineyard ecosystem is to ensure that Avondale will support the lives of our future generations. As artist… A passion for jazz and a love for all forms of art, especially woodwork and sculpture led me into four years of fine art studies – an eclectic education for a budding a farmer, for sure! However, I have found that in so many ways, the patterns, interconnections and openness of the artistic worldview have influenced my understanding of how living systems work. As farmer… My interest in farming started early when I was a boy growing up on a small-holding outside of Durbanville. I planted and tended my own vegetables which I sold to family and friends. I hardly imagined at that time though that I would one day become a farmer. However, the theme of a healthy balanced life was embedded in our family’s outlook. Our ethos, Terra Est Vita meaning ‘Soil is Life’ encapsulates our view of Avondale Estate as a dynamic living system where soil, water and energy; plants, animals and people;even our buildings, are part of a complex web of relationships and networks, interconnected and interdependent.